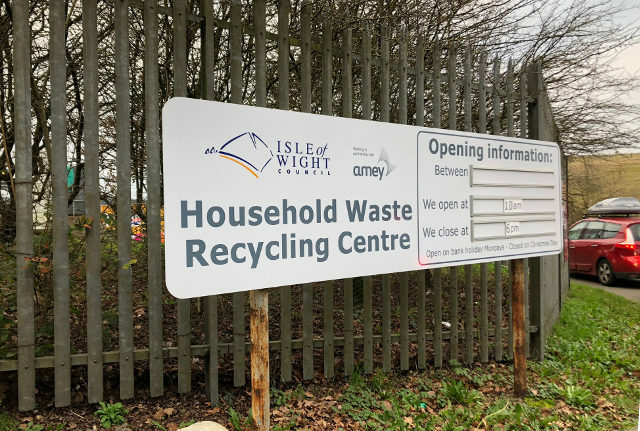 The council is reminding residents and visitors that over the Easter holiday period the Island’s roads will be busy as will Lynnbottom Recycling Centre (HWRC). “This time of the year at the HWRCs has always been busier as residents take the opportunity to enjoy the spring sunshine and tackle the garden and house. It’s also the time of year when the tourist season starts ramping up on the Island. “Easter at the HMRCs has always been a busy period – every year – due to better weather and residents taking the holiday break as a chance to clear out the house and garden. “I would ask residents to please have patience during the busier times and remember you can check how busy the traffic in the area may be by looking at www.roadworks.org and then can plan if you would rather visit later in the day. Think before you throw as some items you are disposing of could go to a charity shop or be reused. There is also a paid for bulky waste collection service for unreusable large white goods and furniture. Garden waste can be composted at home for free or the council offers a fortnightly kerbside garden waste service for just £60 per year (£1.15 per week) – saving you time and tip trips. Visit www.roadworks.org to check out traffic in the area before you leave. 2 Comments on "Plan ahead and be patient if using Lynnbottom tip this Easter, say Isle of Wight council"
How about the council increasing the opening hours during this busy time? buunch of cretins – given what they have said why pay a few hours overtime and open up a bit earlier ?